There’s just something super exiting about the hope infused in a fresh start, isn’t there? Even if 2018 was a stellar year for you, you’ve got to admit that all the possibilities galore in 2019 give you tingly God bumps. And if you’re more than happy to put 2018 behind you and open up the surprise package that is 2019, I know your sense of expectation is building about now. So let’s celebrate a fresh start with a brand new giveaway. 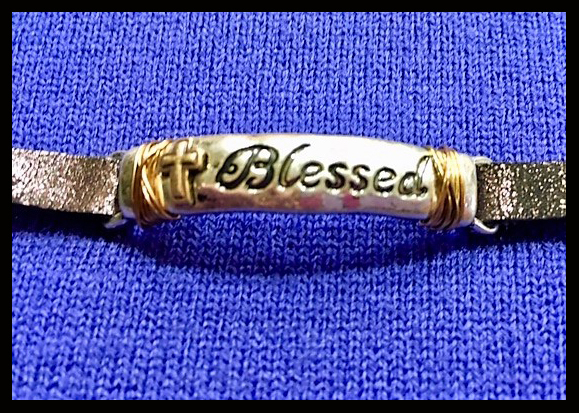 This awesome bracelet is part of the new giveaway! 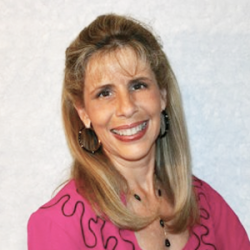 A random winner will be drawn on Feb 8 and announced on my Too Blessed to be Stressed blog (be sure to subscribe to my blog by clicking this link and scrolling down under “Meet Debora Coty”). 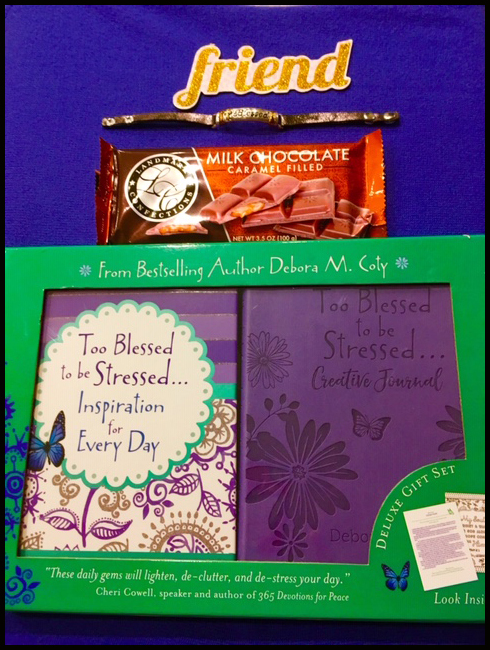 The Fresh Start gift package includes everything in the photo above, including the adorable “Blessed” bracelet I soooo want to keep for myself, one of the hard-to-find Too Blessed to be Stressed Inspiration for Every Day & Journal gift sets, and as always, a choco-treat from me to you. A $50 value! So I hope you’ll join me in making a fresh start this year – and win yourself some great prizes to boot!